PORAKA Stip observed 3 December, the International day of persons with disabilities with several activities within the theme: “Empowering persons with disabilities and ensuring inclusiveness and equality”. On 23.11.2018 sports activities were held at the primary school “Goce Delcev” with participation of PORAKA Stip members and pupils from this school. This event was used to present gratitude to the school principal for the successful cooperation and support given in realization of some of the activities of PORAKA Stip. On 30.11.2018 an exhibition of handicrafts and drawings from the members of PORAKA Stip was opened at the Art Gallery “Bezisten”. At this event, enriched with choral song contents, instrumental performance, modern ballet and folklore, members of PORAKA Stip together with ZG City Choir from Stip took part. Also, members from PORAKA Stip together with the folklore school at the EUROART Academy performed folklore dances and songs, which was followed by a performance from the Ballet Group Get fit. 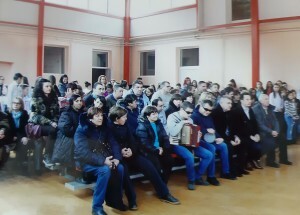 The event was attended by representatives from the Municipality of Stip, the President of the Council of the Municipality of Stip, representatives of the business sector, pupils from the secondary school for persons with intellectual disability “Iskra”, as well as numerous citizens, supporters of PORAKA Stip. Moreover, during this event acknowledgements were given to all those institutions and organizations that have contributed for inclusive and equal treatment of persons with intellectual disability. On 3.12.2018, at the premises of the Association of Disability Organizations – Stip, meeting was held with the Mayor of Municipality of Stip, Blagoj Bocvarski, and representatives from the local self-government. The needs and problems that persons with intellectual disability face in their everyday living were pointed out, but also solutions for their overcoming. On 4.12.2018 members of PORAKA Stip attended the multimedia concert “Vidi me” that was held at the Macedonian Philharmonic in Skopje, performed by students with visual impairments from the school “Dimitar Vlahov” supported by students from “Ilija Nikolovski – Luj”. All events were covered by the local media, TV Star, TV Iris and Kanal Plus. Within the observance of 3 December, PORAKA Bitola conducted several activities in cooperation with the Pedagogical Faculty in Bitola, Red Cross – Bitola and the Department for Transfusiology – Bitola. On 28.11.2018 at the Social Club of PORAKA Bitola, a lecture was held regarding the basic elements of voluntary donation of blood in order to encourage the youth as future blood donors. On 3.12.2018 under the motto “We are all the same beneath the sky 2” at the Amphitheatre of the Pedagogical Faculty in Bitola. 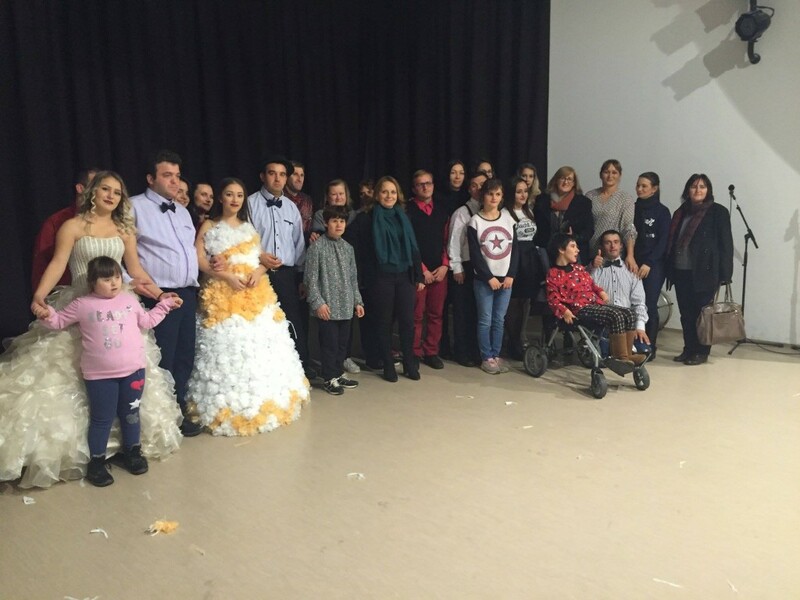 During the event we succeeded to present the talents, skills and handicrafts of persons with intellectual disability, members of PORAKA Bitola. There was a discussion regarding discrimination, challenges and problems that persons with intellectual disability and their families face in everyday life. This was followed by a musical performance prepared by members of PORAKA Bitola. Moreover, an exhibition was opened with drawings – tattoos made by Vasko Vojnovski, drawings by Nikola Ristevski and handicrafts from beneficiaries at the Social Club in PORAKA Bitola. Within the observance of the International Day of Persons with Disabilities, and in cooperation with Red Cross – Bitola, at the premises of PORAKA Bitola, the second blood donation action was organized, donating 13 blood units from 25 blood donors. Members of PORAKA Bitola were also donating blood at this action. PORAKA Prilep observed 3 December, the International Day of Persons with Disabilities at the premises of the Social Club. Participants at the event were the Director of the Centre for Social Work in Prilep, director and representatives from the primary and secondary schools, parents of persons with intellectual disability and the beneficiaries of the Social Club. Filip Ivanovski, pupil at the secondary medical school, moderated the event. The president of PORAKA Prilep presented the activities of the organization and the volunteer at the Social Club, Aleksandra Dimeska presented the activities implemented at the Social Club and stressed the need of this Social Club to become a Day Centre. At the same time, on a video projector the activities implemented at the Social Club were presented. This was followed by a presentation regarding the status of persons with intellectual disability in the society made by Filip Ivanovski. “Give us wings”, written by a person with cerebral palsy, Ivona Dameska, was presented by beneficiaries at the Social Club, Vase Matevska, Sara Geroska and Marija Josifoska. David Aljakoski, brother of one of the beneficiaries at the Social Club had a musical performance. At the end of the event, acknowledgements were given to all those that have supported and helped the activities of organization, as well as the work at the Social Club. Local media took part in the observance of the International Day of Persons with Disabilities and communicated the message given by PORAKA Prilep and its members. PORAKA Gevgelija for the observance of the International Day of Persons with Disability organized a public debate on the topic: “Empowering persons with disabilities and ensuring inclusiveness and equality”. 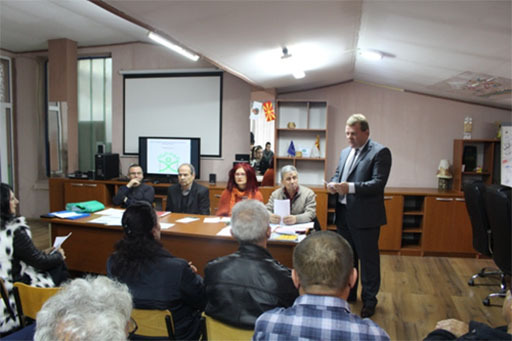 The public debate was held at the premises of PORAKA Gevgelija with the Mayor of Municipality of Gevgelija, Saso Pockov, other representatives from the local self-government, associates from institutions on local level, members of PORAKA Gevgelija and other citizens. The debate began with discussing ways of inclusive, equitable and sustainable development in the community. The need for urban development of Municipality of Gevgelija, safe and accessible sidewalks and streets was emphasized, then marking the parking space for motor vehicles in several places in the city. The debate continued with discussion regarding the ongoing process of deinstitutionalization in our country, the right to independent living and being included in the community with opportunities to choose support servicers in the community and at home. Through the discussion with the local authorities, the need for different forms of support services in the community was pointed out once more. The emphasis was put on providing equal access to inclusive education and to opportunities for employment of persons with intellectual disability. 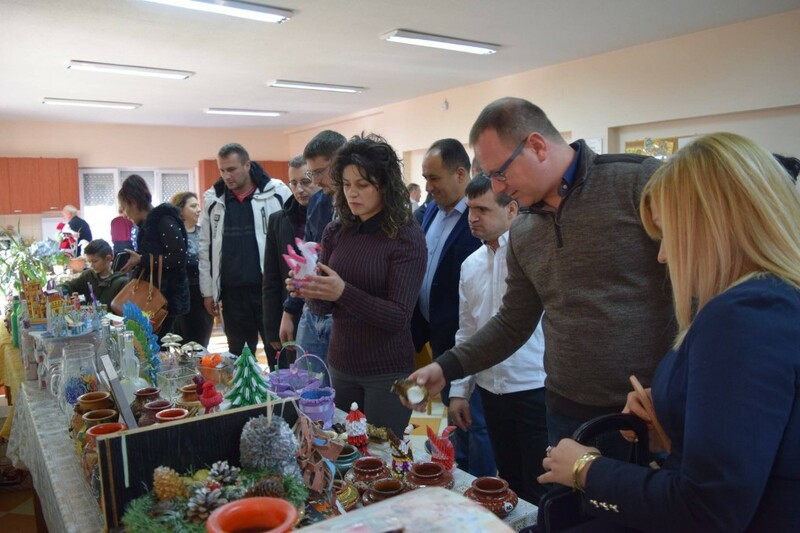 At the end of the public debate, the participants had the possibility to see the exhibition of handicrafts from persons with intellectual disability, beneficiaries at the Social Club in PORAKA Gevgelija. PORAKA Demir Hisar in cooperation with the secondary school “Krste Petkov Misirkov, and under the auspices of Mayor Marjance Stojanovski, and supported by the Council of the Municipality of Demir Hisar, on 27.11.2018 at the premises of the secondary school “Krste Petkov Misirkov” observed the 40th jubilee, and at the same time observed the International Day of Persons with Disabilities. The President of PORAKA Demir Hisar, Ljube Dimcevski, talked about the activities taken within these 40 years. “The organization is established on 26th of November 1978, and from 2003 has the name Centre for Support of Persons with Intellectual Disability – PORAKA Demir Hisar. PORAKA Demir Hisar took part in every activity that has been implemented by the Republic Centre – PORAKA, and numerous campaigns implemented on local level by conducting conferences, debates, workshops, manifestations. The cooperation with the local self-government is satisfactory but also with the schools, the Health Insurance Fund, the Pension and Disability Insurance Fund, the PHI Health Centre and the Psychiatric Hospital, public institutions, the business sector and NGOs in the municipality. The most important thing is that PORAKA Demir Hisar provided working space and opened a Social Club for persons with moderate and severe intellectual disability” – emphasized Dimcevski. Mayor Stojanovski, directors of public institutions, local institutions, parents, pupils and representatives of NGOs were present at the jubilee. The participants were greeted by Mr. Marjanco Stojanovski, Mayor of Municipality of Demir Hisar, who said that it is a special honour and pleasure to be part of this great jubilee – 40 years of successful and active existence of PORAKA Demir Hisar. “We should be equally responsible regarding integration of persons with disability in society and we have to create new opportunities for them to give their contribution in society. Our support is a modest contribution towards activities of PORAKA Demir Hisar, but also it is an indicator how much we as a municipality are committed to solving problems and specific needs of persons with intellectual disability. Municipality of Demir Hisar will continue to provide support within its possibilities, support in terms of human resources and organizational and technical support to the activities of PORAKA Demir Hisar. I congratulate you the four-decade jubilee and the upcoming 3 December, International Day of Persons with Disabilities, and I wish you good health, personal happiness and joy in your families.” – said Mayor Stojanovski. The director of the Centre for Social Work addressed the ceremony, emphasizing the cooperation with PORAKA Demir Hisar in detecting persons with intellectual disability through special expert commissions. The director of the secondary school “Krste Petkov Misirkov” spoke about the long and successful cooperation between PORAKA Demir Hisar and the school, who also said that this cooperation wii continue in accordance with the signed Memorandum. Plaques to the Republic Centre – PORAKA and the Municipality of Demir Hisar were awarded as an expression of recognition for successful cooperation in implementing programme activities of PORAKA Demir Hisar. The long-time members of PORAKA Demir Hisar, Jovan Trajkovski and Ljube Dimcevski were awarded for their long-standing activity. Acknowledgements for cooperation and support to the activities towards advancing the human rights of persons with intellectual disability were given to all active stakeholders in the municipality who contributed on local level. Within the celebration of the jubilee, a competition for artistic and literary works was announced on the topic: “Raise the Hope”. The received works and drawings were reviewed by special commissions and the awardees were pronounced. At the end of the event, the participants had the possibility to see the exhibition of the artworks received at the competition. PORAKA Strumica observed 3 December, the International Day of Persons with Disabilities with several activities on 3.12.2018, but also other activities are planned for throughout December. The first activity was visit to the special primary school “Sveti Kliment Ohridski” in Novo Selo, where pupils are children with intellectual disability. During the visit, members of PORAKA Strumica had the possibility to discuss the new challenges faces by children with intellectual disability with the teachers in this school, also about the new activities taken in the school, the programme activities of PORAKA Strumica as well as about future cooperation among the organization and the school. Members of PORAKA Strumica, in the past period, gathered clothes which have been sorted and donated to pupils of this school. Also, food was donated to the school kitchen. The pupils and persons with intellectual disabilities, members of PORAKA Strumica, had the possibility to socialize and to have several joint activities. The main activity for observing 3 December was the evening event followed by exhibition of creations made during the creative workshops that PORAKA Strumica implemented in 2018 as a part of the programme activities financed by Municipality of Strumica and the Republic Centre – PORAKA. The programme activities had a title “Through Creativity Closer to Social Inclusion”. Part of the exhibited work had a Christmas motives, then handicrafts made from clay, glass and other materials. The event was held at the Home of the Army of Republic of Macedonia. Before the official opening of the sales exhibition, a brief review was given on the meaning of 3 December and the rights of persons with disabilities, as well as the main goal of the implementation of the program activities of PORAKA Strumica and the significance of socialization and inclusion of persons with disabilities in society, mostly by bringing them closer to their peers without disabilities through joint action and work. Then, pupils from the primary schools “Vidoe Podgorec” and “Nikola Vapcarov” had an art performance, in which members from PORAKA Strumica, persons with intellectual disability, were included. It contributed to sending the message about equality, unity and the need for greater inclusion on all pores of society. 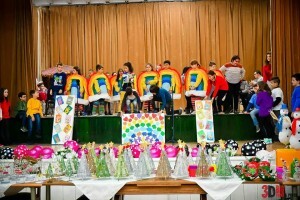 Then, pupils from the special primary school “Sv.Kliment Ohridski” performed a theatre play. After the performances, the guests had the opportunity to see the sales exhibition and buy some of the handicrafts. Guest at the event were the Mayor of Municipality of Strumica, Kosta Janevski, members of the Council of Municipality of Strumica, the Advisor to the President of the Government of Republic of Macedonia, Spase Dodevski, directors of schools and public institutions, special educators, psychologist, social workers and speech therapists from the primary and secondary schools, NGOs and others. In addition to these two events, the same day a meeting was also held with the Mayor of the Municipality of Strumica, Kosta Janevski, attended by a representative of PORAKA Strumica, as well as representatives of other organizations in the field of social protection and who represent the rights of persons with disabilities. During the meeting, participants had the opportunity to discuss the new challenges and problems that persons with disability face in the community, the start of the use of local transport for persons with disability included in the schools and the Day centre for children with disabilities, the launch of the new Action plan for social protection which encompasses projects for improving the living conditions for different categories of persons with disability in the community, the need to tackle the architectural barriers in the municipality, widening the personnel at the kindergartens in regards to improving the work with children with disabilities, the new Law on Social Protection, as well as other issues. Moreover, solving the issue with the premises of the Social Club of PORAKA Strumica was discussed, i.e. the non-existence of official agreement for transferring and using the premises by the Municipality of Strumica in favor of PORAKA Strumica, which remained an open question for consideration, for which PORAKA Strumica will additionally address the competent services in the Municipality. PORAKA Radovis organized several activities to observe 3 December, the International Day of Persons with Disabilities. The programme for observance of this day followed the guidelines and the theme proposed by the United Nations: “Empowering persons with disabilities and ensuring inclusiveness and equality”. The first activity was a visit to the primary school “Kosta Racin” in Podares. The beneficiaries of the Day Centre of PORAKA Radovis together with pupils of this school attended one music education class and one art education class, where they have been introduced and tried to play different musical instruments. At the art education class, they made messages, showing that everyone should respect diversity of opportunities and needs. On 29.11.2018, the beneficiaries of the Day centre in PORAKA Radovis and their parents met with the Mayor of Municipality of Radovis, Gerasim Konzulov. They discussed the activities implemented at the Day Centre, but also about the problems and the needs of these persons in the municipality and the ways for overcoming them. 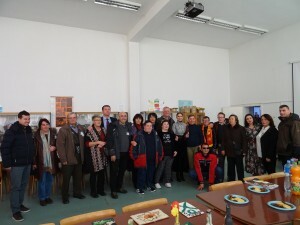 On 3 December, the International Day of Persons with Disabilities was observed at the premises of the Day Centre. 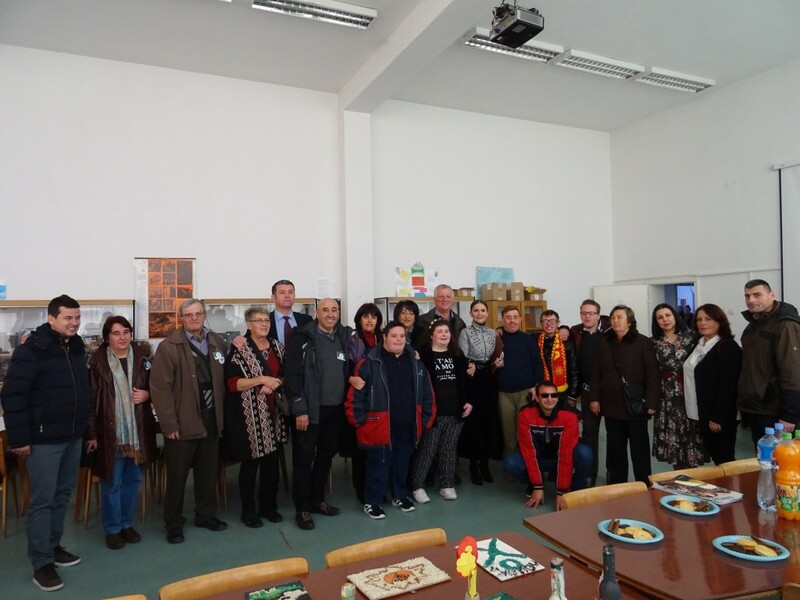 Many guests from the local self-government were present, but also guests from the business sector, public institutions on local level, primary and secondary schools, NGOs and parents of persons with intellectual disability. The rights, the needs and the opportunities for persons with intellectual disability were discussed during the event, and their inclusion in society. PORAKA Radovis gave acknowledgements to public institutions, companies and individuals that gave their support to the Day Centre and in advancing the rights of persons with intellectual disability. At the same time, exhibition was set with handicrafts made by the beneficiaries, which was for sale. The collected funds will be used for purchasing materials needed for realization of the activities at the Day Centre. PORAKA Kriva Palanka, organized the observance of 3 December on 30.11.2018 at the Sports Hall of the primary school “Joakim Krcovski”, and at the event the Mayor of Municipality of Kriva Palanka and representatives of the local self-government were present, then the director of the Centre for Social Work, pupils and teachers from primary and secondary schools, persons with disability and their parents as well as other citizens also were present. The drawings from the art competition were exhibited at the Sports Hall. The art competition was organized by PORAKA Kriva Palanka at the primary schools in the municipality of Kriva Palanka and Rankovce on the theme: “Empowering persons with disabilities and ensuring inclusiveness and equality”. 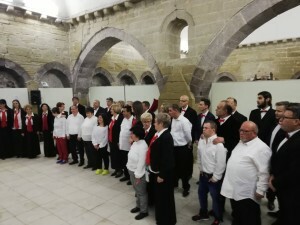 During the event, the audience saw the performances prepared by the schools and the Day Centre for Persons with Intellectual Disability in Kriva Palanka. At the end of the manifestation, the awarded literary works were read, and the President of PORAKA Kriva Palanka presented the awards to the pupils. PORAKA Kriva Palanka realized visit to families that have a member with intellectual disability and donated clothes. On 3.12.2018 in front of the Day Centre for Persons with Intellectual Disability, and in presence of the beneficiaries and other guests, the firemen presented the vehicle and the equipment of the firefighting units from Kriva Palanka used in their interventions. 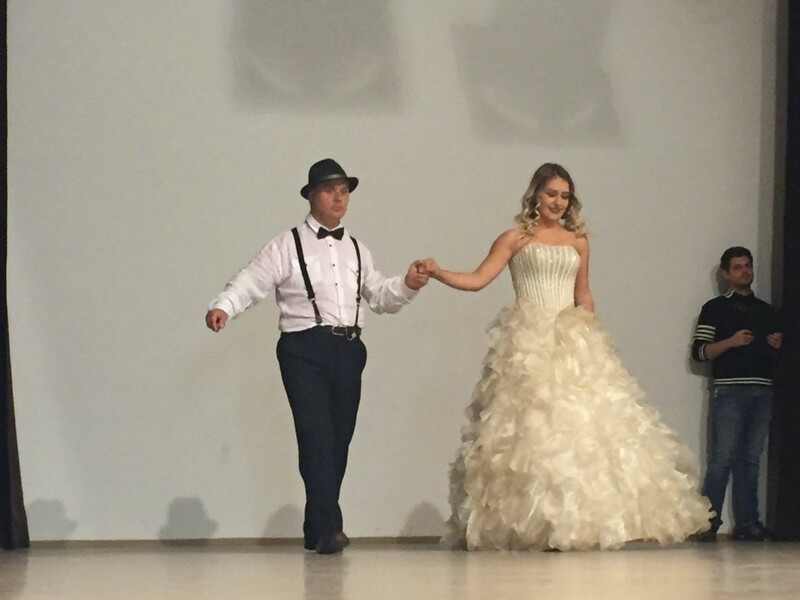 PORAKA Makedonska Kamenica for the observance of 3 December organized a fashion show in which members of the organization (persons with intellectual disability) were the models. 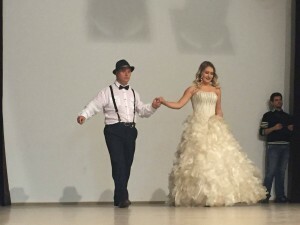 The fashion show was held at the Home of Culture in Makedonska Kamenica. Also, the members of PORAKA Makedonska Kamenica had a music and dance performance. This event was supported by pupils and teachers from the secondary school “Mile Janevski – Dzingar” and Cultural and Information Centre – Romansa from Makedonska Kamenica. Additionally, members of PORAKA Makedonska Kamenica had a meeting with the Mayor of Municipality of Makedonska Kamenica, Ms.Sonja Stamenkova, and discussed about the needs and the problems of persons with intellectual disability on local level. PORAKA Skopje realized several different activities for observation of 3 December, the International Day of Persons with Disabilities. On 26.11.2018 PORAKA Skopje realized a workshop with students from the Institute for Special Education and Rehabilitation at the Faculty of Philosophy and the beneficiaries at the Day centres of PORAKA Skopje. On 27.11.2018 workshop was realized with members of the association for moral and spiritual values “Izgrev” and beneficiaries of the Day Centres of PORAKA Skopje. On 29.11.2018, at the Macedonian National Theatre, the beneficiaries of the Day Centres of PORAKA Skopje saw the fifth jubilee of the manifestation “Igri bez granici – Teatar bez diskriminacija”. On 3.12.2018, representatives of PORAKA Skopje took part at an event organized by Red Cross of City of Skopje on behalf of 3 December, the International Day of Persons with Disabilities. On 5.12.2018 PORAKA Skopje participated at the NGO Fair of City of Skopje at National and University Library “Sveti Kliment Ohridski”. On 8.12.2018 at 20:00 in the multimedia centre “Mala Stanica”, the acting performance “OXYGEN” was performed, prepared and directed by actors from “Theatre Pi”. The main actors in this performance were ten beneficiaries from the Day Centres of PORAKA Skopje. PORAKA Vinica this year observed the International Day of Persons with Disabilities in cooperation with the Museum “Terakota” supported by the local self-government. Therefore, on 28.112018 under the motto: “Disability in the focus” an event was organized, where all the activities within the project implemented by the Museum “Terakota”, PORAKA Vinica and the Day Centre for persons with disabilities in Vinica were presented. An exhibition was set titled “Old Architecture”, which consisted of around thirty photographs made by persons with intellectual disability, as well as their handicrafts. The photographs and the handicrafts were put on sale, and the collected funds are aimed for the Day Centre for persons with disability in Vinica. At the end of the event, pupils from the primary school “Goce Delcev” had a musical performance, as well as the dance group Dancers United MK. On 3.12.2018, representatives from PORAKA Vinica had a meeting with the Mayor of Municipality of Vinica, Ivan Dimitrov, and discussed the needs of persons with intellectual disability on local level. PORAKA Debar organized a manifestation with participation of citizens, members of PORAKA Debar, then representatives of the local institutions and the business sector. Also, there were guests from the Foundation “Build the future” from Tirana, Albania. During the event, the activities of PORAKA Debar in the past year were presented, as well as the future activities that are planned to be realized. The President of PORAKA Debar spoke about the problems of persons with disabilities in the municipality, but also focuses on the rights and interest of persons with intellectual disabilities, and the benefits that will emerge from the proves of inclusion of these persons in every aspect of social, economic, cultural and political life in their communities. At the end of the event, the pupils from the primary school “Said Najdeni” had a musical and dance performance. PORAKA Veles observed the International Day of Persons with Disabilities in accordance with this year theme “Empowering persons with disabilities and ensuring inclusiveness and equality”. The idea was to show the abilities of persons with intellectual disability and their successful inclusion in society. Therefore, three young actors from “Jordan Hadzi Konstatinov – Dzinot” Theatre in Veles (Talija Nastova, Zarko Spasovski I Faik Mefailovski) and the director Nenad Vitanov, made a short art performance “The wolf and the cat” that actively involved pupils with intellectual disability from the special school “Maca Ovcarova” in Veles. 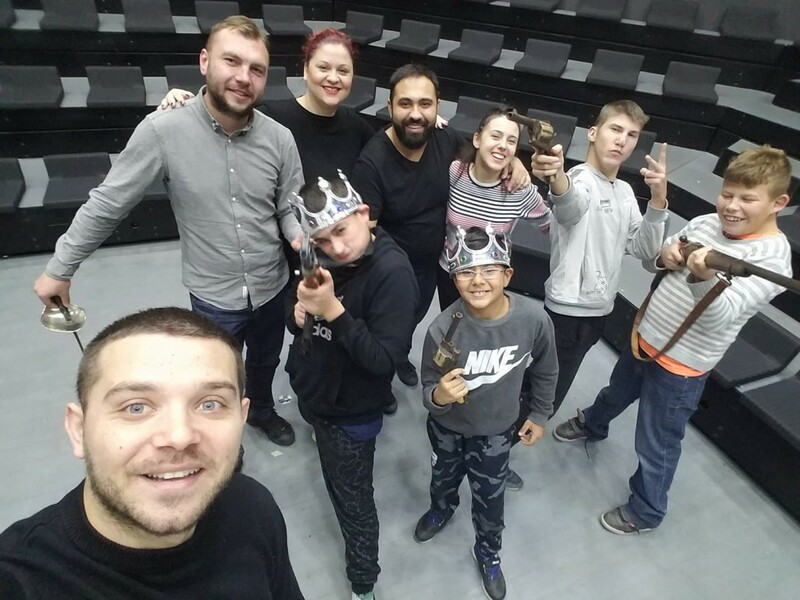 During November, the pupils had active preparations and rehearsals with their “colleagues” from the theatre. The performance was presented to the Mayor of Municipality of Veles, representatives from UNICEF ad other organizations and public institutions, then other pupils from “Maca Ovcarova” and their parents, as a part of the observance of 3 December, at the premises of “Maca Ovcarova” school. On 29.11.2018 members of PORAKA Veles traditionally took part at the Republic Pottery Art Workshop, that had an inclusive character, which is organized for the 22nd time by “Maca Ovcarova” school, under the auspices of the Municipality of Veles. Participant are pupils from all special primary schools and classes in Macedonia and pupils from the primary schools from the municipalities of Veles, Caska and Gradsko. PORAKA Delcevo observed the International Day of Persons with Disabilities in cooperation with the Local Self-Government and the Centre for Social Work i.e. the Day Centre for children with disabilities. One of the activities was attending the theatre performance “The Confused Wolf and Little Red Riding Hood” performed by actors from the Stip Theatre at the Cinema in Delcevo. On 3.12.2018 at the Home of Culture – Delcevo and art exhibition was set consisted of drawings made by pupils at the primary schools in the municipality. The exhibition was organized under the motto “Days of Humanity”. The Mayor of the Municipality of Delcevo, representatives of the local self-government and other public institutions, representatives of the business sector and other interested citizens attended the exhibition. The exhibition was broadcast by local media. In cooperation with the Red Cross – Delcevo, an action for donating clothes was organized, and on 6.12.2018, the gathered clothes were given at the Special Institute – Demir Kapija. During the visit, the representatives of PORAKA Delcevo had the opportunity to meet with the beneficiaries at the Special Institute that are from their municipality. PORAKA Kavadarci observed 3 December, the International Day of Persons with Disabilities in accordance with the theme “Empowering persons with disabilities and ensuring inclusiveness and equality” and realized several activities. On 24.11.2018 members of PORAKA Kavadarci visited the Monastery “Sv.Gjorgji” near Negotino. On 30.11.2018 they visited the Firefighting Unit in Kavadarci. During the visit, the members of PORAKA Kavadarci were introduced with the equipment that firemen use in their work. The last activity was the visit to the Theatre at the Home of Culture in Kavadarci “Ivan Mazov – Klime”. The actors showed the persons with intellectual disability the premises where theatre performances take place and the room where the costumes are kept. Local media covered the events organized by PORAKA Kavadarci. PORAKA Tetovo for observance of 3 December realized several activities. Representatives of PORAKA Tetovo had a meeting with the Mayor of Municipality of Tetovo, Teuta Arifi, and discussed the issues and needs of persons with intellectual disability in the community. 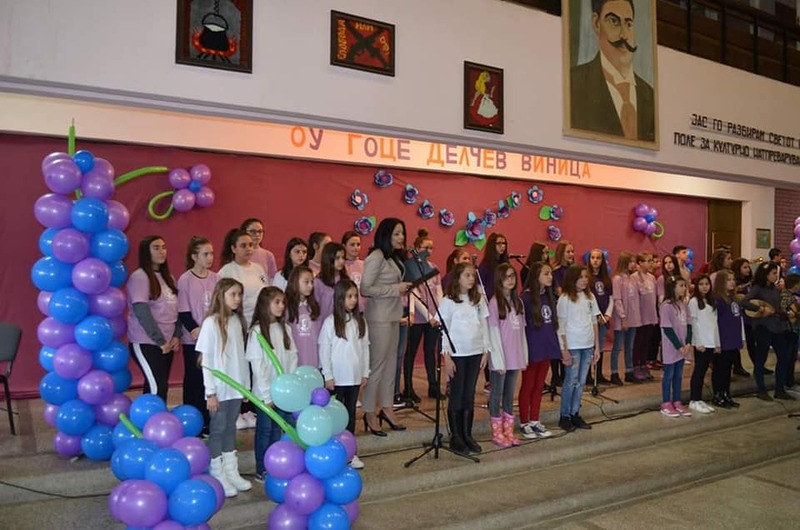 At the Home of Culture “Iljo Antevski – Smok” in Tetovo, pupils from the special classes in the primary schools “Lirija” from Tetovo and “Simce Nastovski” from Vratnica, as well as the children from the Day Centre in Tetovo had a musical and dance performance. Also, an exhibition was set consisted of artworks made by pupils with intellectual disability.